Chapter 6: Afropolitan Patriotism considers what it means to make “Malian” music in times of national celebration and crisis. Charting a history of the recent past, the chapter begins with Mali’s celebration of fifty years of independence from colonial rule in 2010 and ends with the State of Emergency in 2013, a time of intense internecine conflict in the country. Through a variety of musical artifacts, artist testimonies, media reports, and scholarly commentary, the chapter explores the ambivalence of national affiliation in Mali today, a fraught and contested category that nonetheless continues to shape postcolonial futures in Africa. Azawad: the name given to a region of northern Mali that some recognize as the ethnic homeland of the Tuareg people; briefly the site of an unrecognized independent state during Mali’s recent internecine conflict (2012-13). Throughout the modern world, and most recently in the postcolonial world, music has played an important role in what Benedict Anderson famously called, “imagining the nation.” How does Mali’s recent history reveal the ambivalence of such resonant nationalism? Beginning in June 2012, international attention was drawn to the apparent “death of Malian music” at the hands of Islamist militants who occupied significant swathes of northern Mali. Beginning in January 2013, the embattled Malian state in the south declared a “state of emergency” that significantly limited expressions of public culture, and music in particular. For many Malian artists, these events were comparably repressive of their lives and work. How might one understand such a perspective? 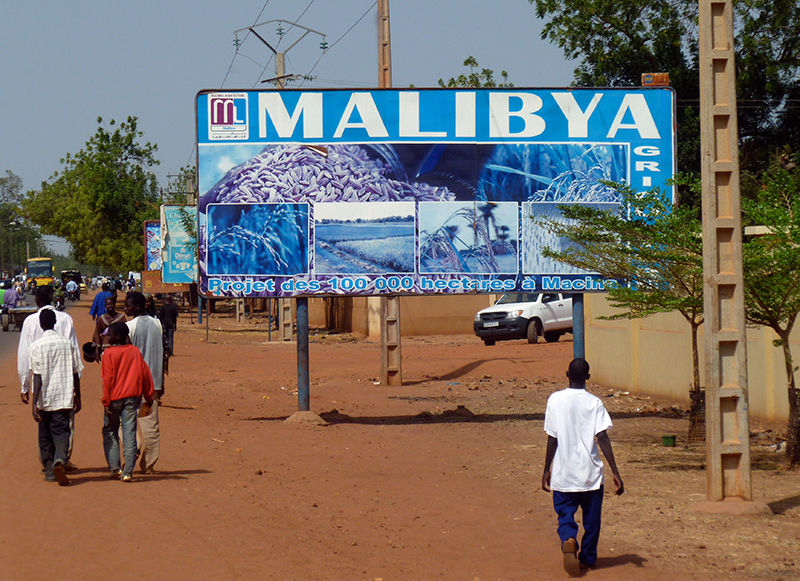 During the 2012-13 crisis in Mali, many international organizations (such as Oxfam International) called for increased foreign aid to this worn-torn West African nation, drawing attention to Mali’s rich but susceptible cultural heritage. What ethical issues arise from such calls for international intervention in postcolonial states?